The Blue Action Fund supports non-governmental organizations to protect oceans and coastlines in the developing world. The Fund aims to reduce the loss of marine biodiversity and to advance local development in coastal communities. Grants for Marine and Coastal Conservation. The Blue Action Fund makes grants for ocean and coastal conservation in marine protected areas and their buffer zones. The geographical scope includes Africa, Latin America, and the Asia/Pacific region. The Fund favors projects that integrate marine protection with poverty reduction, sustainable and equitable use of marine resources, and community-based protection. Projects should look beyond individual marine protected areas (MPAs) in order to consider MPA systems, and/or to promote regional approaches. Projects should be able to show early results and impacts, and be scalable and transformative. Eligible applicants are international or regional NGOs with proven experience in coastal and marine conservation. Blue Action welcomes applications by consortia of NGOs led by international and/or regional NGOs, and that include national NGOs or other local implementing partners. Project applicants must provide 25% or more of total project costs. Projects must have the approval of the appropriate authority or authorized body of the country or region where the project is located. APPLICATION: Each call for proposals defines a strategic and geographic focus, along with information about grant size and the number of grants expected to be awarded. The Fund calls for concept notes to be submitted before a calendar deadline. Short-listed applicants are then asked to elaborate full proposals using a prescribed template. The Blue Action Fund intends to concentrate on the partner regions for German development cooperation. However, calls for proposals may have a special geographical scope, such as the 2019 call focusing on Marine Protected Areas (MPAs) in Southeast Asia. 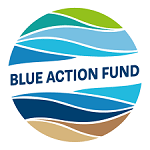 The Blue Action Fund was established in late 2016 by the German Federal Ministry for Economic Cooperation and Development (BMZ) and KfW Development Bank (KfW).